Barilla believes that the making and enjoyment of food is an art. Through pastas and sauces, barilla brings Americans the best that Italy's culinary traditions have to offer; and through promotion of Italian food, art, and culture, inspire everyone to share in the values that have guided the company for more than a century. A love of life, a devotion to quality, and a respect for tradition in restaurants. Barilla Ditalini Soup Shape Pasta 16 oz. Barilla Elbows Short Shape Pasta 16 oz. 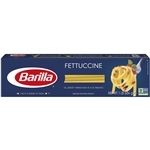 Barilla Fettuccine Pasta 16 oz. Barilla Manicotti Pasta 8 oz. Barilla Pastina Pasta 12 oz. Barilla Pipette - 160 Oz. Gemelli Pasta - 16 Oz. Pasta Campanelle - 160 Oz. Cellentani Pasta - 160 Oz. Ready Meal With Meat Sauce - 9 Oz. Barilla Mezze Rigatoni - 16 Oz. Medium Shells Pasta - 16 oz. Classic Blue Boxs Rigatoni Pasta - 16 oz. Classic Blue Boxs Mostaccioli Pasta - 16 oz. Farfalle Pasta - 16 oz. Pipette Pasta - 16 oz. Campanelle Pasta - 16 oz. Protein Plus Penne Pasta - 14.5 oz. Penne Vegetable Barilla Usa - 12 Oz. Wavy Lasagna Whole Grain Noodles - 13.25 oz. Collezione Casarecce Pasta - 12 oz. Collezione Bucatini Pasta - 12 oz. Collezione Orecchiette Pasta - 12 oz. Pronto Spaghetti - 12 Oz. Barilla Protein Plus Elbows - 14.5 Oz. 100 Percentage Whole Grain Penne - 16 Oz. 100 Percentage Whole Grain Spaghetti - 16 Oz. 100 Percentage Whole Grain Rotini - 160 Oz. 100 Percentage Whole Grain Elbows - 16 Oz. Barilla Gluten Free Penne - 12 Oz. Barilla Gluten Free Elbows - 12 Oz. 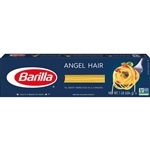 Medium Shells Barilla - 160 Oz. Penne Whole Grain Barilla - 16 Oz. Organic Penne - 12 Oz. 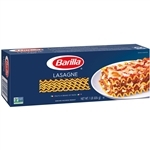 Farfalle Plus Barilla Usa - 14 Oz. Rotini Gluten Free Ba - 12 Oz. Elbows Ready Pasta USA - 8.5 Oz. Penne Rigati Ready Pasta USA - 8.5 Oz. Basil Pesto Sauce - 6.3 Oz. Sundried Tomato Pesto Sauce - 6 Oz. Barilla Orecchiette - 160 Oz. Basil Pesto Sauce - 6 Oz. Barilla Marinara Sauce - 24 Oz. Barilla Traditional Sauce - 24 Oz. 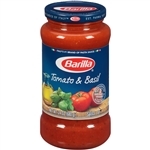 Barilla Tomato And Basil Sauce - 24 Oz. Legume Red Lentil Penne - 8.8 Oz. Legume Red Lentil Rotini - 8.8 Oz. Legume Chickpea Rotini - 8.8 Oz. Legume Chickpea Casarecce - 8.8 Oz. To eat doesn't mean only to feed yourself , it means also to love yourself, notes Barilla president Guido Barilla. To cook is a way to develop relationships, it is a curiosity, and it is entertainment. It is a culture. This is the reason Barilla supports and celebrates gastronomy and all of the arts that bind people together, overcoming the boundaries of nations. Since its founding in Parma, Italy in 1877, Barilla has been a family-run company, dedicated to producing the highest quality food products for consumers around the world. Barilla America, Inc., the U.S.-based division of The Barilla Group, extends the company's commitment to flavor, convenience, and the highest culinary standards to America, where, following its launch in 1996, Barilla has become the 1 national brand of pasta. So many Americans have embraced the pastas and share the excitement about celebrating the ways that good food enriches our daily lives. When it comes to pasta, quality is key. Barilla is dedicated to delivering the highest-quality pasta to restaurants. That is why Barilla - the leading brand of pasta in Italy - is a favorite of foodservice chefs. Whether serving the needs of restaurants, cafeterias, commissaries, or other foodservice operations, our full line of versatile Barilla products brings excellence to any menu. And today, affordable quality has never been more important.